In a world filled with secrets, solving a mystery can be murder. The Weinstein Co has debuted the official US trailer for a film called Shanghai, which you may remember hearing about because we ran the first trailer for this in 2010. The film has been delayed for release here in the US for 5 years, and TWC is just now putting it out quietly this month. 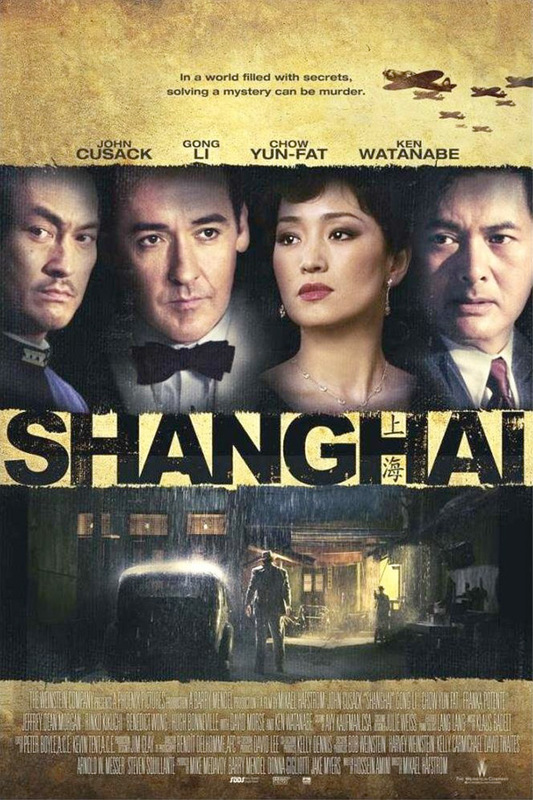 John Cusack stars in Mikael Håfström's Shanghai (the film Håfström made before going on to do The Rite and Escape Plan) as an expat who goes to Shanghai when it's occupied during WWII and falls for a woman and uncovers gangland secrets. Also starring Chow Yun-Fat, David Morse, Ken Watanabe, Franka Potente & Jeffrey Dean Morgan. It doesn't look so good. Have fun. A '40s period piece which revolves around an American expatriate (John Cusack) who returns to Shanghai a few months before Pearl Harbor to investigate the mysterious death of a friend (Jeffrey Dean Morgan). Shanghai is directed by Swedish filmmaker Mikael Håfström, of Days Like This, Drowning Ghost, Derailed and the Cusack thriller 1408 previously. The script was written by Oscar nominated writer Hossein Amini, of Jude, The Wings of the Dove, The Four Feathers, and also Killshot previously. The Weinstein Company first picked up distribution rights to this back in 2010, when it was released in China, but have held onto it ever since. For those still interested, Shanghai will quietly open in US theaters on August 21st this month. Always love Cusack. Movie looks pretty good. Anything in particular you didn't like Alex? Are you saying this movie got Shanghai-ed by the studio? It's only five years old? The quality of the video makes it look older. Looks ok. Suffers from the "White man saves the (insert minority here) thing". Shanghai back then must have been bananas.